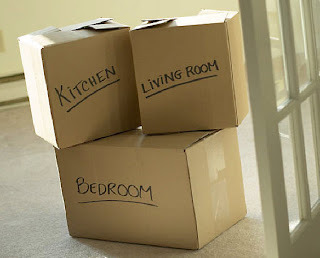 As you know your move in date well in advance, ask family or friends to help you move. Give them at least two weeks’ notice, and offer them lunch or breakfast for their help. Buying takeout for a couple of friends is more affordable then hiring a moving company to help you move. Keep in mind, if your new place has no elevator, let your family/friends know in advanced that there will be lots of stairs climbing. 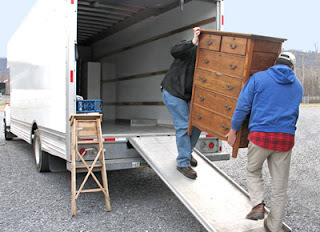 If you have a lot of large items or furniture pieces that won’t fit in your car rent a van/truck from your local car rental company. Or the more affordable option, if you have a friend/family member that owns a van, ask them if they can help you move. Of course you would have to pay gas, but $30 gas could be more affordable then renting a van for the day. If you bought furniture for your new apartment, you probably noticed that they’re all packaged into pretty small boxes. That means you have many hours of assembly and stress waiting for you. Get a head start, assemble your furniture before your moving date, as this will save you time when you’re in your new place. Plus, as furniture item are the largest and bulkiest pieces you want to make sure you move them into your apartment first. This will help you ensure you have as much space as possible when trying to get them into your new place. Your new superintendent and landlord have worked hard to renovate your apartment in time for you to move in, but the cleanliness of the unit may not be up to your standards. Schedule in advanced with your new super to pick up your keys and sign your lease before moving in, could be the night before if the previous tenant has already vacated or the earlier in the morning of your move in date. When you pick up your keys, spend an hour or less cleaning your apartment before you move in. Keep in mind, after a day of moving, and walking around the apartment with your shoes you will definitely need to clean your unit again. Once you’re done unpacking your boxes, and need to get rid of them, try posting them on Craigslist or Kijiji. Someone is sure to need them, remember how you were crazy looking for boxes not too long ago? Post a picture of the boxes, and you will have them gone in no time.